A trip to Brazil with some of our best friends, Gaby and Kai, had been a long time coming for us. Unfortunately at the last opportunity, a nearly expired passport and lack of a green card killed the trip for us. Thanks Gaby, Kai and all of your wonderful family for an awesome 10-day trip that we will never forget and that will surely drag us back there sooner rather than later! This is a very nice shot indeed, Luis. A very attractive view across the city to the sea and islands beyond. There's a lot to see in the shot and yet it doesn't feel cluttered - very nice indeed! Beautiful city, composition, and point of view. 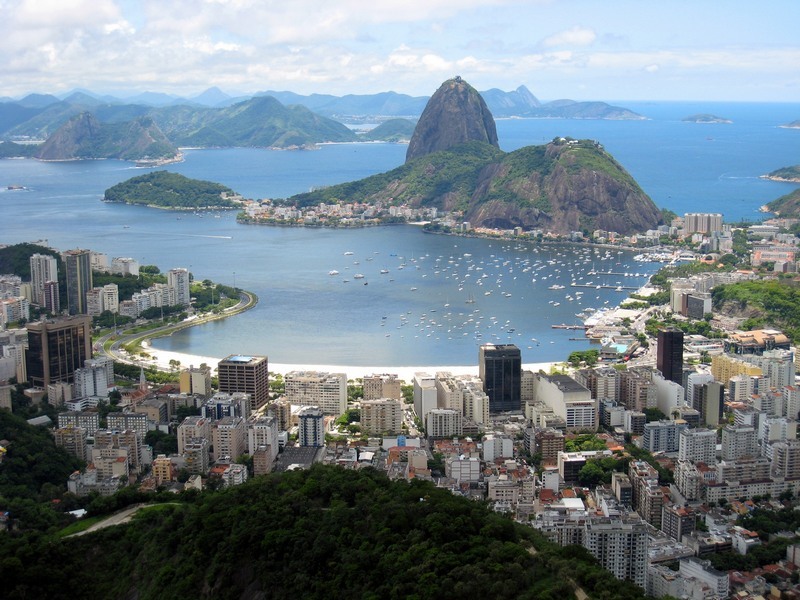 Your photo makes Rio look very enchanting and makes one desire to see it in person. S22� 56' 41.77", W43� 11' 21.77"
Totally awesome POV here. Wonderful panorama, beautiful and breath-taking scenery. TFS.